ThyroVen™ is a premier nutraceutical thyroid formula. It provides premier detoxification support and comprehensive nourishment for healthy thyroid function. Take 1 capsule, 3 times daily. 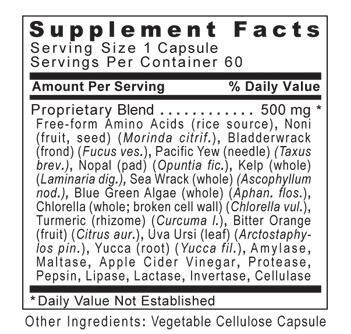 For special programs recommended by your practitioner, up to 12 individual servings may be taken daily (1 serving = 1 capsule).